Beston has high-quality plastic recycling equipment for sale. 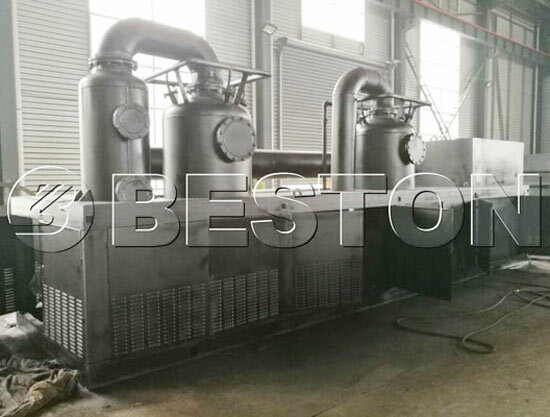 The Equipment adopts the latest pyrolysis technology, which is used for converting plastic waste into fuel oil, carbon black, and some combustible gas. And these pyrolysis products are widely used. For example, the plastic pyrolysis oil can be used as industrial fuel materials for burning, or further refined to diesel or gasoline. The carbon black can be used for making construction bricks with clay or used as fuel. The combustible gas can be reused as fuel, which will save energy for the whole working process. 1. 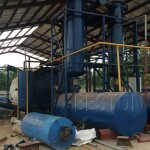 The continuous pyrolysis plant needs pre-treatment devices. 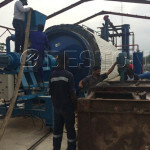 Before putting plastics into the pyrolysis reactor, it needs a plastic shredder to cut the plastics into small pieces. If the water percentage of plastic is more than 15%, a dryer is also needed. While the batch pyrolysis plant doesn’t need pre-treatment devices and waste plastics can be put into the reactor directly. 2. 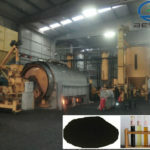 For the continuous plant, the feeding of waste plastics and discharging of carbon black are both automatic. While batch pyrolysis is manual. 3. The continuous plant can work 3-4 shifts per day, and its reactor just needs 1 hour to cool down before starting the second batch. While the batch plant works 1 shift per day and its reactor needs 3-4 hours to cool down before the second batch. The hydro seal can stop the fire burning back while removing sulfur, impurities and keep cleaning desulfurization gas. Specific operating tech to deal with all the bug during the production. The third generation of the heating method which combines the advantages of direct and indirect heating. It is safe for the operation and will also improve the working efficiency of the plastic pyrolysis plant. In the daily operation, the exhaust gas room is closed. 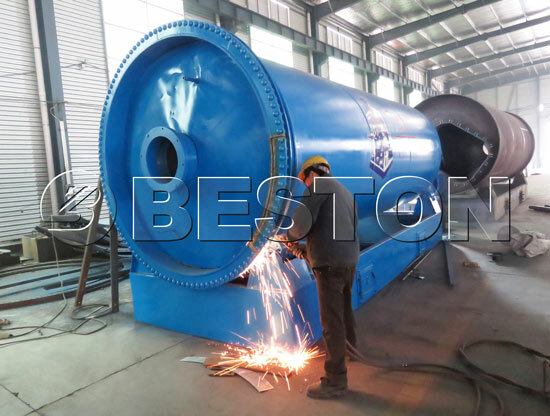 When the pressure is too large, you can open the exhaust gas room, the combustion gas directly is burned, it can quickly reduce the temperature and air pressure from the pyrolysis reactor. There might be someone who recommends the used plastic recycling equipment, which has a lower price and cost. however, since the lifespan of the pyrolysis plant is limited, some mechanical problems might happen as time goes by. As a result, we suggest that a brand-new plastic recycling machinery should be the best and most safe option for you. 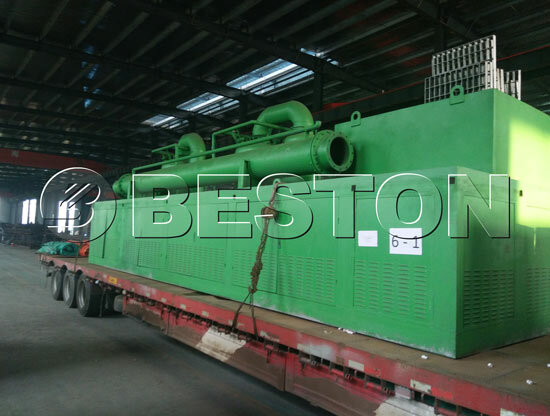 Beston plastic recycling equipment for sale has the features of safety, energy saving, and environment-friendly. 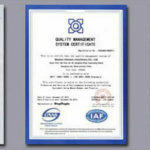 So far, our products not only have passed CE, ISO, SGS certificates but also have been exported to more than 20 countries, such as Jordan, Nigeria, South Korea, Hungary, Ukraine, Indonesia, Brazil, the Dominican Republic, etc. Different Types of the plastic recycling equipment have different prices. The prices of Beston four main types of the equipment are also different. There are also some factors which can affect the prices and your future cost of this equipment, such as the energy-consumption, duration, subsequent maintenance and manpower cost. Beston tries the best to reduce the plastic recycling machine cost for our customers, so as to maximize the profits they can obtain from the plastic recycling. 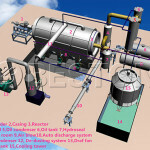 After using our plant, you may find that the fuel cost is not that high because we have adopted energy-saving designs. You will also never worry about the subsequent maintenance because Beston has a strong and responsible team of repairing and maintaining. All the plants we sell out will have the one-year warranty. Moreover, if the customers have any questions about the operation of the equipment, they are welcomed to contact us via the 24-hour hotline. In a word, Beston‘s aim is to make sure all the customers use the best equipment at the most reasonable prices. And we promise that all the investment will be worth at last. 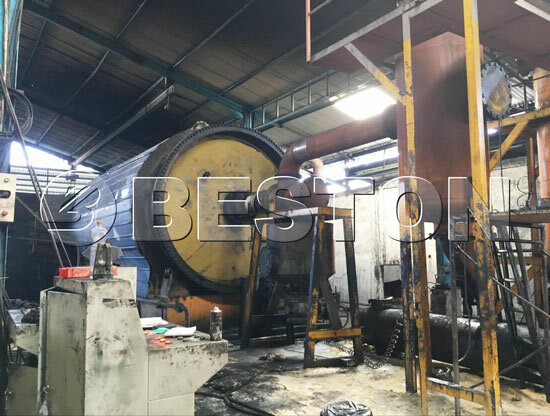 Just bear in mind, Beston doesn’t only provide high-quality plastic recycling equipment for sale, we’ll also bring additional values to the customers. It is the big difference between us the other suppliers that we really care about our customers and the industry of waste recycling. If you want to know more about the waste plastic recycling equipment, please feel free to contact us online.